Youth and Sports Minister: Azerbaijan Does Not Deny Attempts to Organize A Contender's Match between Teymur Radjabov and Vladimir Kramnnik. 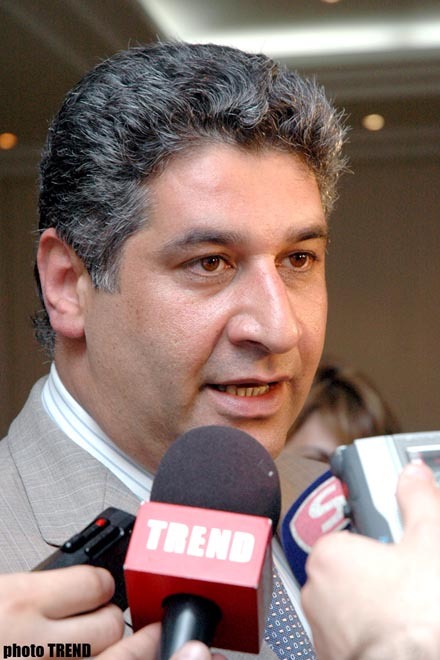 We are not going to deny attempts to negotiate with Vladimir Kramnik concerning holding a contender's match between Teymur Radjabov and him, Azad Rahimov, Azerbaijan`s Youth and Sports Minister exclusively told Trend commenting the possibility on organizing a match between the Azerbaijani grand master and the FIDE Champion. An agreement between the Azerbaijani Sports Ministry and their Bulgarian counterparts on holding a match between Teymur Radjabov and Veselin Topalov, who was a possessor of the chess crown till recently, was signed in the spring this year. However, the Bulgarian gross master lost it as a result of the recent match with Vladimir Kramnik of Russia, and due to that, the preliminary agreement with Bulgarians has lost its force. It is too early to say anything concrete in this regard today, but I think it will be very difficult to come to an agreement with Russians. Moreover, he gained this crown in a very tense struggle, pointed out Mr. Rahimov.